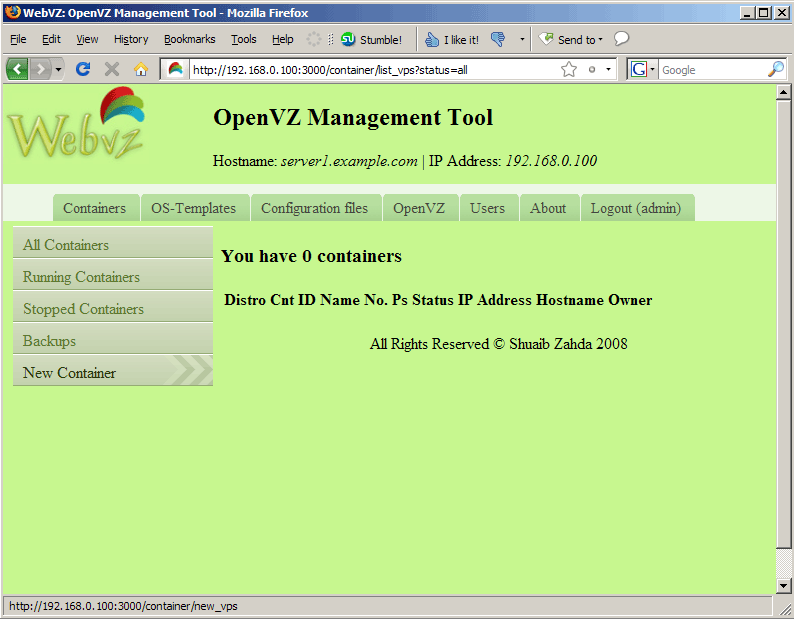 This guide explains how you can install WebVZ on a Debian Lenny OpenVZ host. 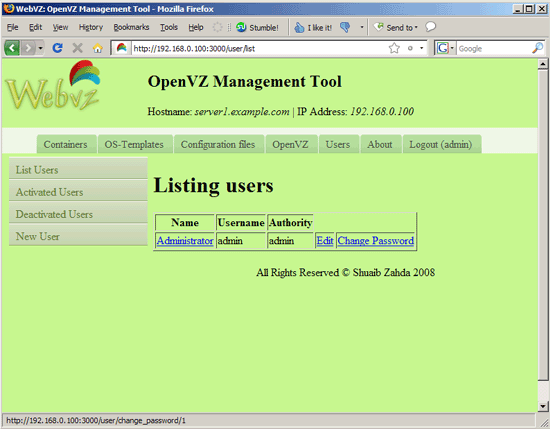 WebVZ is a light web-based control panel for OpenVZ. 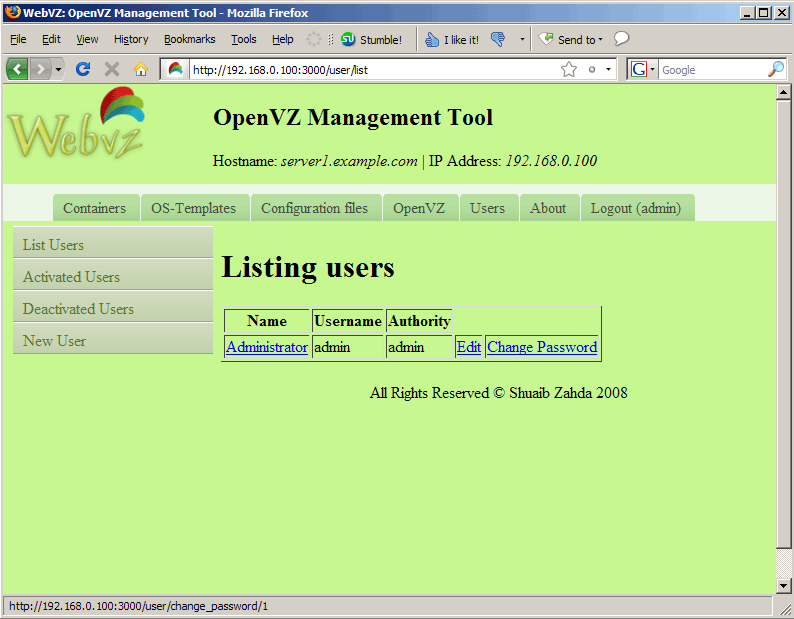 It has its own web server (Webrick) and database engine (SQLITE 3). 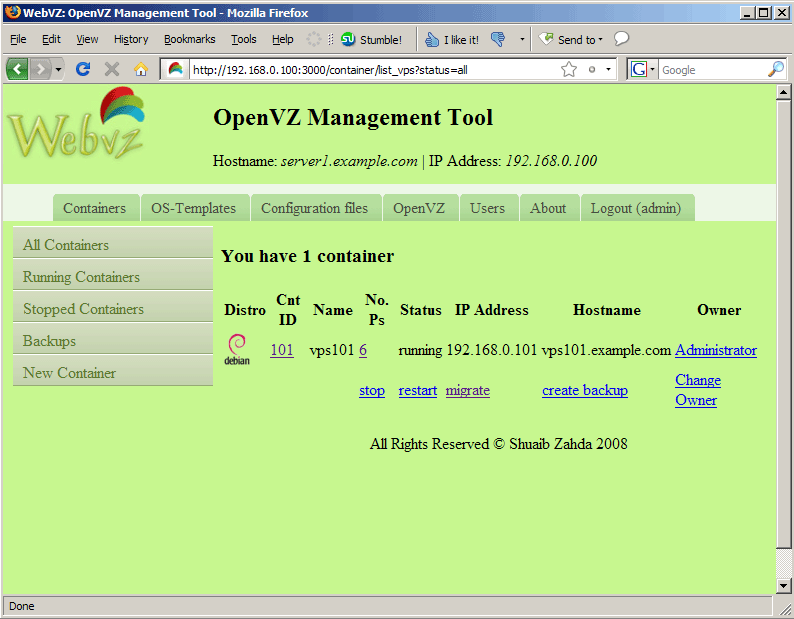 I'm using a Debian Lenny server with the hostname server1.example.com and the IP address 192.168.0.100 here.